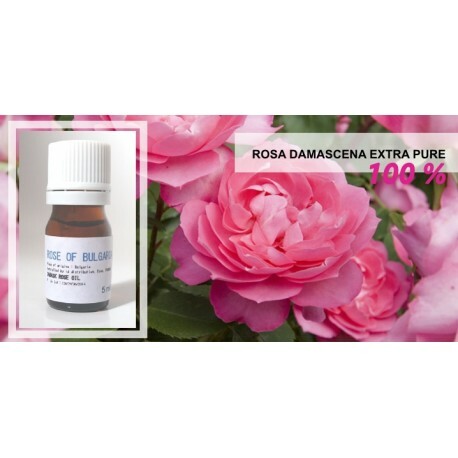 Damask rose oil (100% Rosa damascena) : 5 ml. 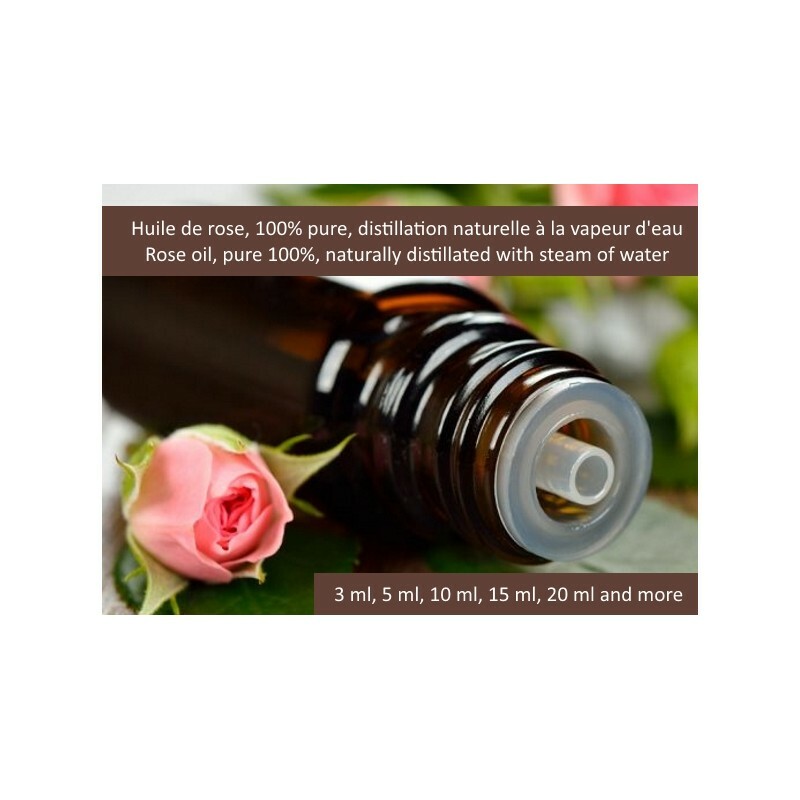 Damask rose oil, precious and pure in a glass bottle amber equipped with a dropper and a label with number of batch corresponding to the certificate. Origin : Bulgaria, guaranty with a certificate. 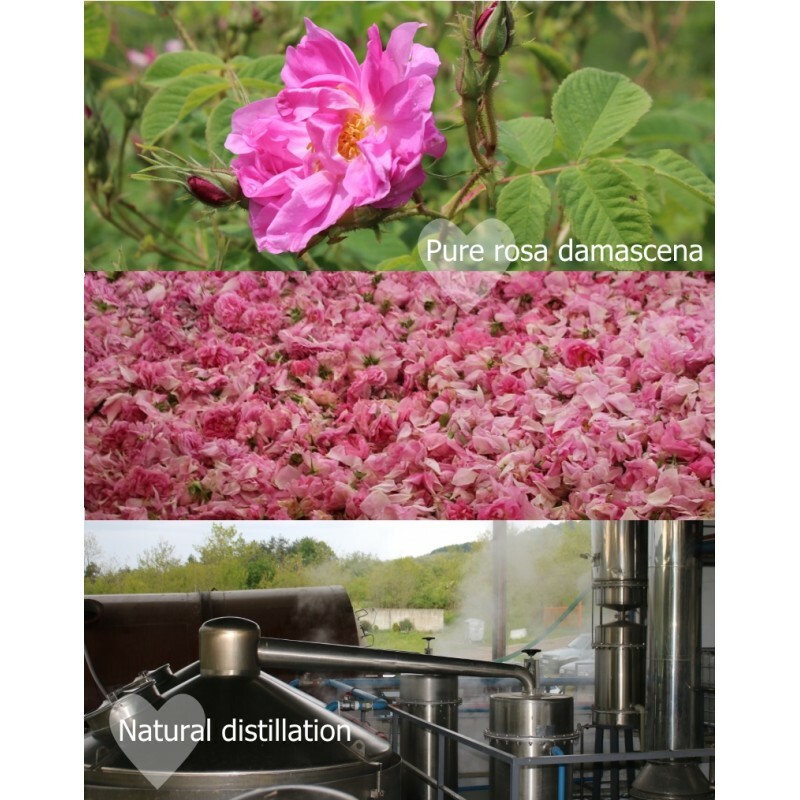 Extraction Process : The essential oil is obtained by steam distillation of fresh rose petals. 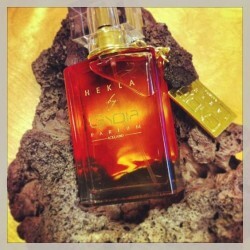 Description of fragrance : Fragrance higher. 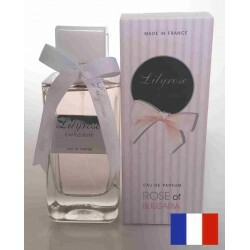 Deep rich sweet floral fragrance. 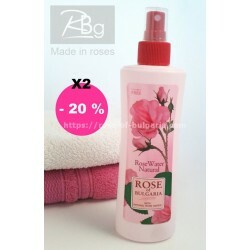 Skin Care : Use approximately 8 drops of essential rose oil for every 10 ml of carrier oil and apply directly onto skin. You can mix with almond oil for example to use it directly on skin. Please read below safety consideration before using. Mature skin, sensitive, wrinkled (prevent wrinkles). Provides a feeling of well-being and happiness when used in massage. Great to use while working for massaging the lower back. Wonderful when mixed with seed oil of cynorrhodon and Peach used as basic agents. We love or hate the Rose oil, but the effect is to regenerate the cells on skin faster. 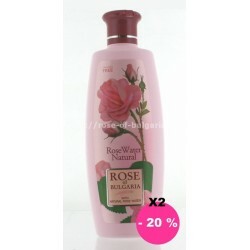 If you like the rose that will probably be your favorite perfume among all oils. 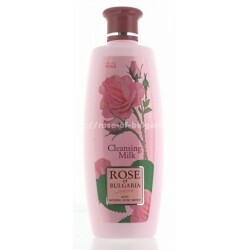 In medecine care : Rose essential oil is an all rounder and provides the best of all. It is a great aphrodisiac and thus perfect to add spice to your love life. It is also known for its antispasmodic, antiviral and antiseptic therapeutic properties. 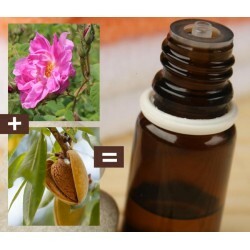 Rose oil is very beneficial in curing Eczema, Stress, and Menstrual Problems. It serves like a tonic for the liver, heart, stomach and uterus. 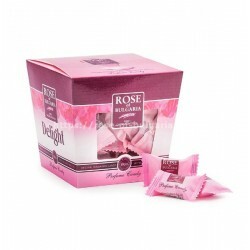 To face emotional problems, rose essential oil is the best remedy. It is of great use in boosting the circulation of blood in the body. In perfumery industry : This product is natural and contains no additive so you can mix with other fragrances in controlled labotory to obtain new perfumes, new fragrances before to mix it in free alcoholic substances. How to use in other way examples : You can use few drops of rose oil in hot bath, with rose petals, use also in essential oil diffuser to change the atmosphere of your house or use it freely in a cup as a potpourri. This product contains no additives. 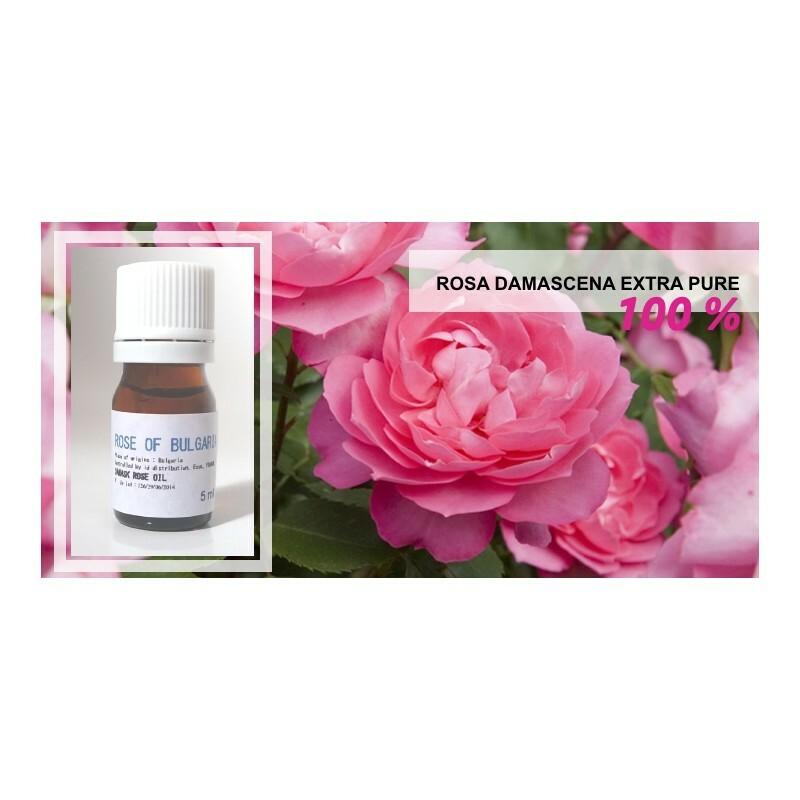 Important: Our rose oil is frozen from 18-17.5 degrees Celsius, it means that is a great purity rose oil, if you have already purchased rose oils do not have this property, it means that an additive is inserted in the oil, and thereby rose oil is not so pure. 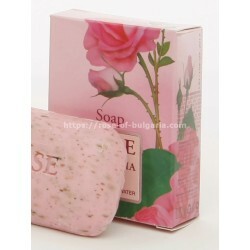 The oil "rose of bulgaria" is pure and certified, make your purchase decision. Do not apply undiluted to skin (for directions on proper dilution refer to an aromatherapy instructions). The information on this website is not intended to diagnose or prescribe.